At the end of the year, the children get to put all their learning to the test. Our sports day is a special event where parents, pupils and staff get to celebrate sporting success. At St. Mary’s we share a valued relationship with the Islington School PE and sports team. A sports support coordinator supports our staff on a weekly basis to deliver high quality PE lessons across the PE curriculum. 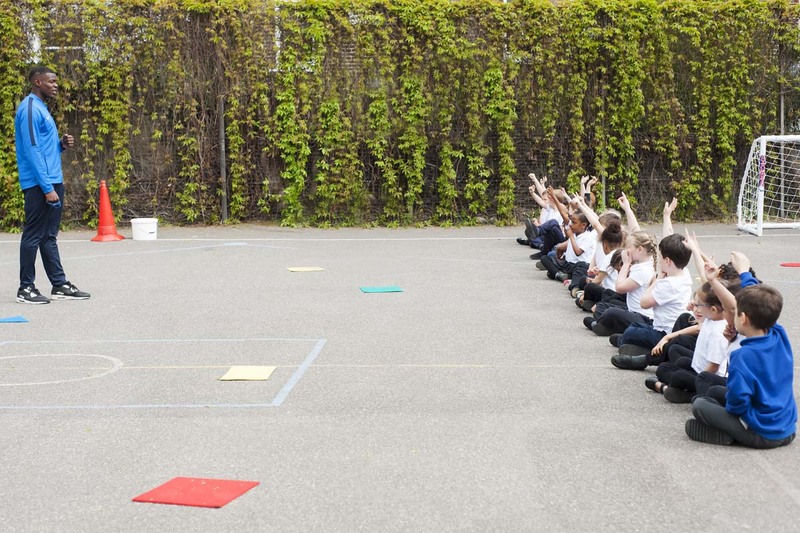 As part of the creative curriculum, we promote cross curricular activities through PE. This encourages children to link all of their learning and to apply their skills across the board. To promote leadership and citizenship, the Islington School PE and sports team have trained 15 pupils from year 5 to lead lunchtime activities in KS1 and KS2. This forms part of the Olympic legacy pledged by Lord Sebastian Coe to promote sports and leadership in the next generation. Our playmakers have been a great success and act as fantastic role models for children across the school.